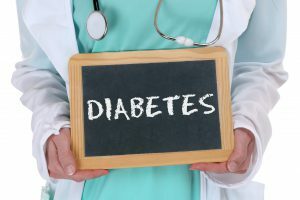 Diabetes is on the rise and what has significantly increased is the rate of type 1 diabetes (T1D), formerly known as “juvenile” or “juvenile onset” diabetes. 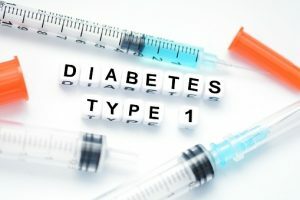 The Centers for Disease Control and Prevention (CDC) has found that more than 13,000 children and young people are diagnosed with type 1 diabetes each year. T1D is often first diagnosed in children, teenagers, or young adults. However, people may develop T1D at any age. The exact cause of T1D is unknown, there is no cure and it cannot be outgrown. In most cases of T1D, the body’s own immune system, which normally fights harmful bacteria and viruses, mistakenly destroys the insulin-producing cells in the pancreas. Doctors believe genetics may play a role in this process, and exposure to certain environmental factors, such as viruses, may trigger the disease. The good news is that it can be controlled with insulin therapy, exercise and diet. A simple blood test can identify type 1 diabetes. Be sure to consult with a physician if you or a family member is experiencing any of the above symptoms by contacting Flushing Hospital Medical Center’s Ambulatory Care Center at 718-670-5486. How Does Weight Loss Surgery Affect Diabetes? Type 2 diabetes mellitus (T2DM) is the most common form of diabetes. Complications from this disease can lead to more serious health conditions such as hypertension and stroke. Type 2 diabetes can also lead to premature death; in fact, studies show that the risk of premature death can be increased by as much as 80% in patients with T2DM. According to the American Society for Metabolic and Bariatric Surgery, “Obesity is the primary cause for type 2 diabetes.” Therefore, most patients diagnosed with T2DM can improve their health by losing weight. One of the most effective forms of weight loss treatments for obesity is bariatric surgery. 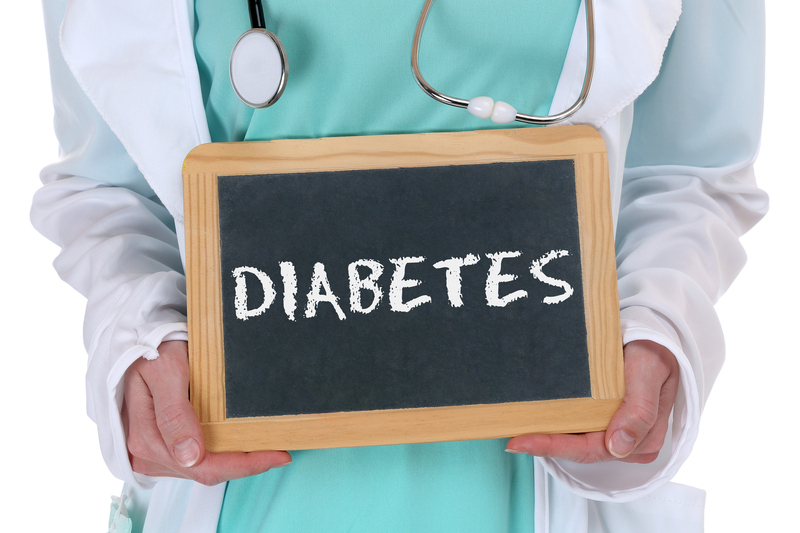 It has been found that undergoing bariatric surgery and adhering to a prescribed diabetes treatment plan can improve blood sugar levels and cause remission of the disease in most patients. The American Society for Metabolic and Bariatric Surgery reports that “Nearly all individuals who have bariatric surgery show improvement in their diabetic state.” Surgery may improve type 2 diabetes in approximately 90% of patients by either lowering blood sugar, reducing the dosage of medication needed or improving health problems associated with diabetes. The two most popular bariatric surgeries are the sleeve gastrectomy and gastric bypass procedures. In the sleeve gastrectomy procedure, a large portion of the stomach is removed and a smaller, new stomach in the shape of a tube or “sleeve” is created. During bypass surgery, a new small stomach pouch is created, and a section of the small bowel is bypassed. Both surgeries can offer excellent long-term results and positive outcomes in most patients. They are typically performed laparoscopically, utilizing a minimally invasive approach. Laparoscopic surgery can offer patients several benefits including shorter hospital stays, shorter recovery time and less scarring. Although bariatric surgery is considered safe, it is important that patients understand the risks of surgery. 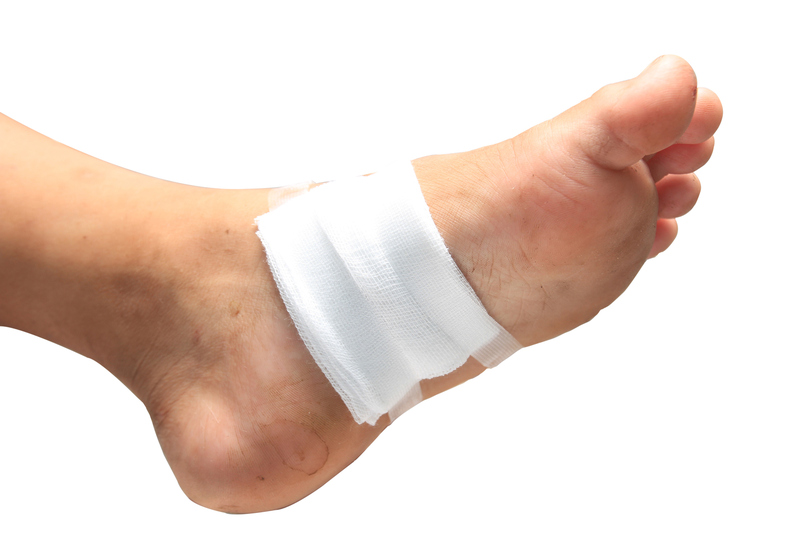 As with most major surgical procedures, the risks can include bleeding or other complications. At Flushing Hospital’s Bariatric Surgical Center, procedures are performed utilizing minimally invasive techniques including robotic surgery. The Center also provides many compassionately delivered services to help patients succeed in every step of their weight loss journey including close physician monitoring, pre and post-surgical psychological evaluations, personalized diet and nutritional counseling as well as ongoing education and support groups. Cellulitis is a common, but potentially serious infection of the skin and the soft tissues underneath that occurs when bacteria enters the body through a crack or break in the skin. Cellulitis can also develop as a result of an infection typically after surgery or having untreated injuries such as a puncture would, cut, scrape or burn can also lead to the development of cellulitis. Cellulitis most frequently occurs on the legs, but it can present on other parts of the body, including the arms or face. Cellulitis usually develops on one side of the body. There are several factors that place someone at an increased risk of developing cellulitis, such as diabetes, obesity, liver disease, circulatory issues, or having a weakened immune system. Certain skin conditions including eczema, psoriasis, athlete’s foot or shingles can provide an entry point for bacteria to enter the body. If left untreated, an infection can spread to a person’s lymph nodes and bloodstream and rapidly become life-threatening. It is important to see your doctor immediately or seek emergency care if you experience any signs of cellulitis to prevent the condition spreading throughout your body. Your doctor can recommend a care plan that may include pain relievers to treat the symptoms and possibly either oral or intramuscular antibiotics, depending on the severity of the condition, to treat the infection. In rare cases, surgery may be required. Other tips to treat cellulitis include resting and elevating the infected area. Covering your wound with a bandage. If you believe you have cellulitis, make an appointment with your doctor immediately. If you do not have a doctor, you can make an appointment with a qualified physician at Flushing Hospital Medical Center by calling 718-670-5486. When talking about collagen, most people would equate it with skin care, but younger looking skin is only where the benefits of collagen begin. Collagen can also play an important role in building and maintaining healthy connective tissue throughout your digestive tract. 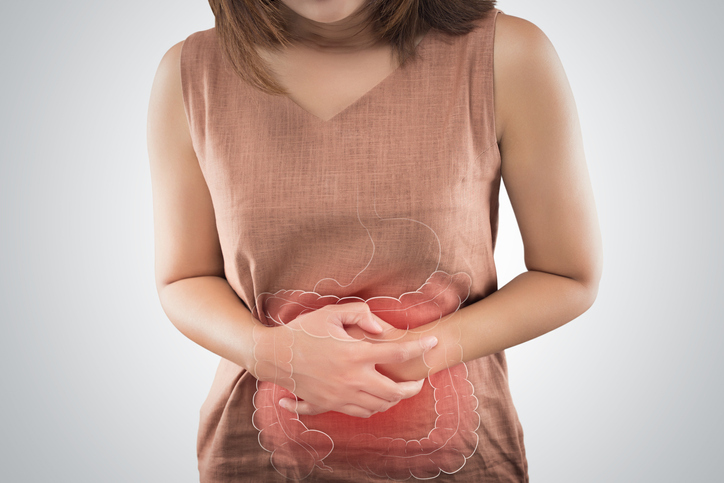 Maintaining a strong digestive tract and stomach lining is extremely important for the prevention of a condition known as “leaky gut.” Leaky gut happens when there are damages in the barrier lining of your intestine. This condition may allow food and waste particles to pass into the bloodstream, causing an inflammation. Leaky gut can cause bloating, gas, stomach cramps, Irritable Bowel Syndrome (IBS), as well as sensitivity to foods that are wheat-based, high in sugar and contain gluten. Some simple ways to add more collagen to your diet are:Collagen is beneficial to gut health because it contains large amounts of the amino acids glycine, glutamine and proline which can be beneficial to the intestinal tract as well as the stomach. Bone broth – Bone broth is made by simmering bones to help extract the flavor and beneficial nutrients of the bones marrow. It is not only an excellent source of collagen, but it is tastes good and is easy to add to your diet through soups and stews. Powdered gelatin – Gelatin is the cooked form or collagen. By utilizing powdered gelatin as a tea or by adding it to your soups, stews and broths, you can quickly bump up your collagen consumption. Supplements with collagen peptides – Collagen peptides are an easy way to get this important amino acid. Most brands are broken down so that they are easy to digest and absorb. Although leaky gut is more prevalent in persons with chronic diseases such as, celiac’s disease and type 1 diabetes, main source of leaky gut remains a mystery. Therefore, its treatment may vary. Most doctors recommend adding a healthier menu to your lifestyle. They suggest adding more vegetables, fruit, gluten-free grains, healthy fats, fish, lean meats, eggs and yogurt to your diet. If you are showing signs and symptoms of leaky gut and they persist, please see your doctor for further discussion. If you’d like to make an appointment at Flushing Hospital Medical Centers, Ambulatory Care Center, call 718-670-5486 to schedule an appointment. Diabetes does not directly cause depression but can contribute to it indirectly for a variety of reasons. Managing diabetes can be very stressful and it does require a modification of eating habits and, to some degree, a modification of lifestyle. 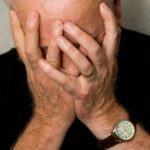 Many people have difficulty keeping their blood sugar under control and this can also lead to frustration and potentially be a cause of depression. If diabetes is not well controlled then variations in blood sugar level, high or low, can lead to symptoms that are similar to depression. Similarly, depression can lead to the onset of diabetes. When people are depressed their eating habits tend to be affected and many people will over eat to the point of becoming obese. Some people who are depressed have no desire to be physically active, and many will also smoke. 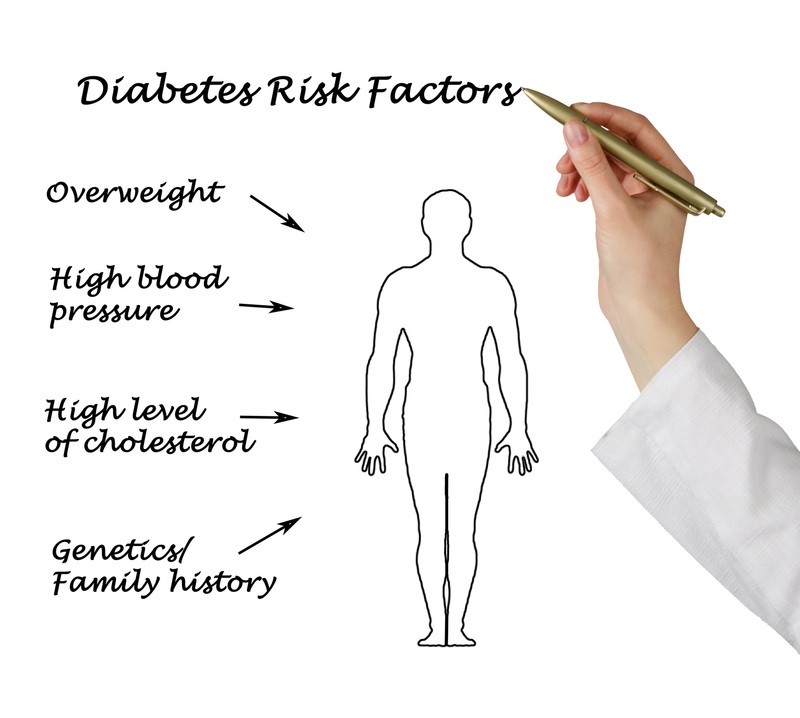 All of these are risk factors for diabetes. There are ways to manage both diabetes and depression simultaneously. The most important factor is to speak with a physician who has experience and can help you to gain control of these illnesses. A patient who has been diagnosed with diabetes might also benefit from a program that focuses on behavior modification that will lead to a healthier lifestyle. There are medications that can be prescribed which will be helpful in managing these illnesses. Seeking the help of a psychotherapist will also be helpful in gaining confidence in the ability to manage both diseases. If you would like to schedule an appointment with a physician at Flushing Hospital to discuss diabetes management please call 718-670-5486. March 27 is Diabetes Alert Day. The observance created by the American Diabetes Association, is held the last Tuesday in March each year to help raise awareness about the seriousness of diabetes when it is left undiagnosed or untreated. Diabetes affects approximately 30 million people living in the United States and nearly 1 in 4 is unaware that they have the disease. Undiagnosed or untreated diabetes can develop into more complicated health conditions that can include kidney damage, heart disease, nerve damage or stroke. 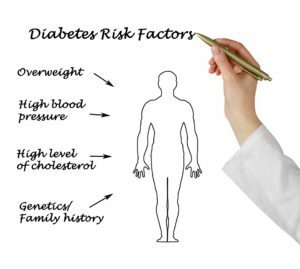 Learning if you are at risk and taking the necessary steps to prevent or treat diabetes can lower your chances of developing serious illnesses that result from the disease. The American Diabetes Association also encourages you to take the Type 2 Diabetes Risk Test http://www.diabetes.org/are-you-at-risk/diabetes-risk-test/?loc=alertday. According to the American Diabetes Association, Diabetes Alert Day serves as a one- day “wakeup call”. Use this day as a reminder to speak with your physician about your risk factors and steps you can take to stay healthy. To schedule an appointment with a doctor at Flushing Hospital Medical Center, please call 718-670-5486. Eating holiday treats such as sugar cookies, cakes or pies is one of the reasons children look forward to this time of year. In the spirit of generosity and good cheer, we may allow them to indulge more than usual. 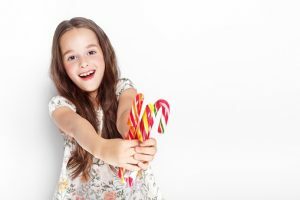 However, it is important to remember these types of foods are laden with large amounts of sugar and we should continue to moderate the amounts that children consume. Many holiday desserts contain more than the daily recommended amounts of sugar in each serving. For instance, there can be as much as three teaspoons of sugar in a medium slice of carrot cake (1/12 of 16 oz. cake). Too much sugar can negatively affect children’s health. Excessive amounts have been shown to weaken their immune systems, promote tooth decay and increase the risk of obesity which further leads to more complicated health conditions such as diabetes. Although moderating sugar consumption may come with challenges; however, parents are strongly urged to be persistent in their efforts. Speak with your pediatrician about ways you can curb sugar cravings and establish a healthy diet for your child. To schedule an appointment with a pediatrician at Flushing Hospital Medical Center, please call 718-670-5486. January is National Birth Defects Prevention Month. Among the most common birth defects is cleft lip. Cleft lip is a birth defect that occurs when a baby’s lip or mouth does not form properly in the womb. 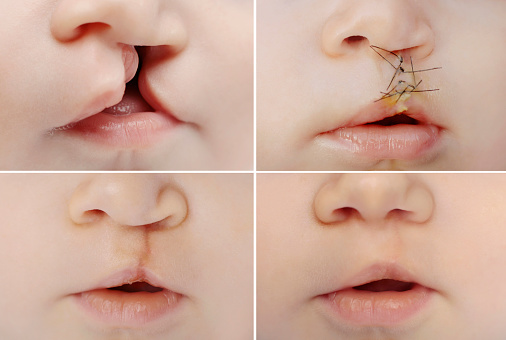 Collectively, these birth defects commonly are called “orofacial clefts”. The lip forms between the fourth and seventh weeks of pregnancy. A cleft lip develops if the lip tissue does not join completely before birth, resulting in an opening of the upper lip. The opening in the lip varies in size from a small slit or a large opening that goes through the lip into the nose. Surgery to repair a cleft lip usually occurs in the first few months of life and is recommended within the first 12 months of life. Children born with orofacial clefts might need other types of treatments and services, such as special dental or orthodontic care or speech therapy. If you are an expecting mother in need of a doctor, Flushing Hospital Medical Center’s Department of Obstetrics offers a wide variety of services to expectant mothers. For more information or to schedule an appointment, please call 718-670-8994. 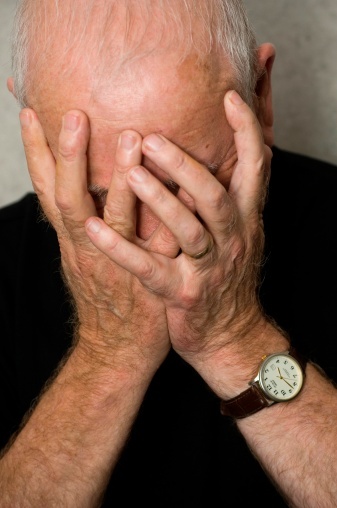 Diabetes does not directly cause depression but can contribute to it for a variety of reasons. Managing diabetes can be stressful because of the dietary and lifestyle changes required to stay healthy. Some diabetics may have a difficult time adapting to these changes and become frustrated which can eventually lead to depression. Conversely, depression can lead to diabetes. When people are depressed their eating habits tend to be affected and some may overeat to the point of becoming obese. They may also have no desire in being physically active. These factors can increase an individual’s risk of developing the disease. There are ways to manage diabetes and depression simultaneously. The most important factor is to speak with a physician who has experience and can help you to gain control of these illnesses. A patient who has been diagnosed with diabetes might benefit from a program that focuses on behavior modifications promoting a healthier lifestyle. There are also medications which can be prescribed that are helpful in managing both illnesses. Flushing Hospital Medical Center understands the relationship between mental and physical health and has many programs in place to ensure our medical and mental health professionals work together to treat both mind and body. If you would like to schedule an appointment with a physician at Flushing Hospital to discuss diabetes management please call 718-670 5486. The month of November has been designated American Diabetes Awareness Month by the American Diabetes Association (ADA). Diabetes affects nearly 30 million people in the United States which is ten percent of the total population. There are 86 million more people who have pre-diabetes and are at risk of developing type II diabetes during their lifetime. There is no cure for diabetes but there are many ways for people who have been diagnosed with the disease to live long, healthy lives if it is controlled properly. Learning to live with diabetes is one of the most important components for managing the disease. Proper nutrition, regular physical activity, monitoring blood sugar daily and taking medication to control diabetes are some of the ways that complications can be prevented. Uncontrolled diabetes can lead to many complications. It is the leading cause of blindness, non traumatic amputations, kidney disease and also increases the risk for heart attacks. During the month of November the ADA sponsors events around the country that serve to make people aware of the risk factors and the warning signs of diabetes. For more information on events taking place, please see the American Diabetes Association’s website at www.diabetes.org. It is important to have regular medical exams to manage diabetes successfully. To schedule an appointment with a physician at Flushing Hospital please call 718-670-5486. Is Strength Training Safe For Your Child?